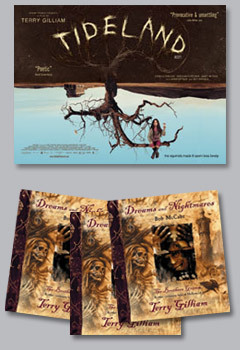 Well, we had a terrific response to our Terry Gilliam competition to win one of three copies of Dreams and Nightmares: Terry Gilliam, 'The Brothers Grimm' and Other Cautionary Tales of Hollywood by Bob McCabe and Terry Gilliam signed by the ex-Python himself. Just goes to prove that there are a lot of Gilliam fans still out there, who will no doubt welcome his return to form with his latest film Tideland, out in UK cinemas now (see www.tidelandthemovie.com for more information). Congratulations to all three of you. We will be in touch very shortly to find out your mail addresses, and we will get the prizes off to you as soon as we can. If you didn’t win this time, why not enter our current competition to win official costumes and props from the soon-to-be smash UK hit, Severance, starring Danny Dyer, Laura Harris, Tim McInnery and Toby Stephens. The film opens on August 25th, with a special charity screening alongside cast and crew at London’s Odeon West End on August 24th. 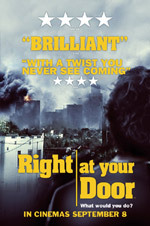 See frightfest.co.uk for more information. Described as Alice in Wonderland meets Psycho, Tideland is perhaps Gilliam's most personal film since Brazil and although it will divide opinion (in an unprecedented move, Terry Gilliam makes a to-the-audience introduction at the start of the theatrical print of Tideland), there's no doubting the directorial visual genius and talented acting on display. The talking doll's heads, talking squirrels and stuffed dead bodies are just added bonuses. Read our 4-star review here. For more information on Tideland, visit the official website at www.tidelandthemovie.com.